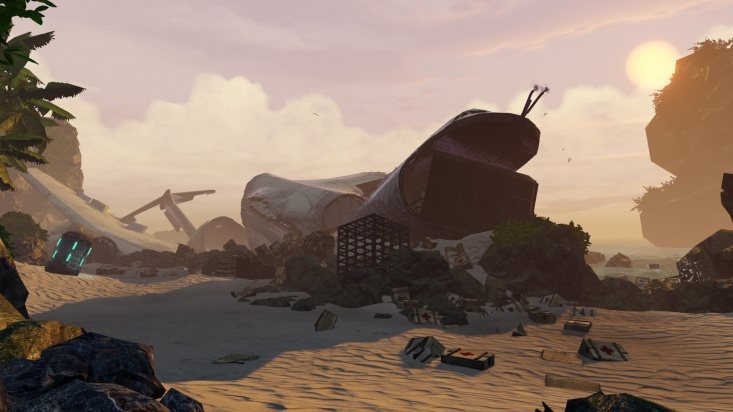 ZED Landing is a Killing Floor 2 map. It was added in the game as a part of Tropical Bash update. 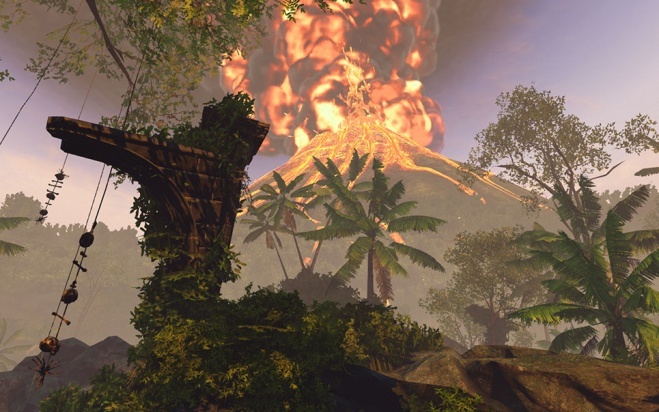 It is the second map in the game to introduce dynamic weather elements (the first being Black Forest) and first to add environmental hazards - upon making it to 50% wave completion in normal Survival game the huge volcano in map background awakes releasing flows of hot lava that replace water in a couple of creeks located on the map making it dangerous for players to step into and as well emits huge cloud of white ash which obscures player's vision. "When the erupting volcano is the least of your worries, you know your tropical island vacation has gone awry. Welcome to Zed Landing! 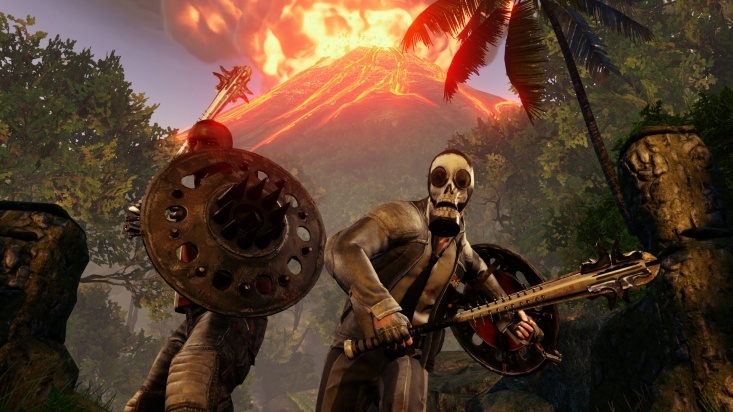 Thanks to a crashed Horzine cargo plane, this island has become infested with Zeds, all of whom want to eat you before the volcano cooks you. Or after really, they’re not that picky; Zeds are into barbecue." 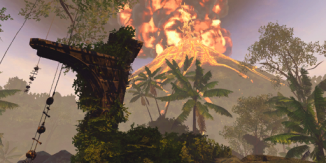 The design of the map collectables (the volleyballs) is the crossover reference to both - an american survival drama film "Cast Away" and to Tripwire Interactive's vice-president Alan Wilson whose face can be seen on these balls. Lava creeks do up to 3 points of fire damage within 0.5 second intervals. Cargo plane labeled ZedEx which is a humorous reference to an american multinational courier delivery services company FedEx. 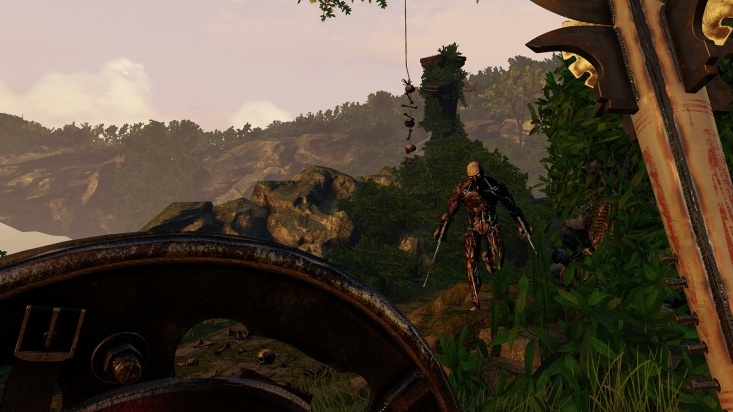 Huge island rock next to the shore in map background is actually made of ventriloquist doll's face - a map collectable of Farmhouse map and an enemy in original Killing Floor's mod Toy Master. This page was last edited on 22 October 2018, at 20:18.